I am 33-years old and I have a problem - a cardboard problem. I, like many of my contemporary collectors, began my cardboard problem in the 80s. I started collecting in 1983 at the ripe age of five, purchasing packs of Topps' Star Wars: Return of the Jedi from local convenience stores. Although I loved the movies, I loved the cards even more. Plus, they were a cheap reward my parents could afford every week (or more often if I was really good). I may have picked up a few Topps, Fleer, and Donruss packs too, as I recall having some 1983 cards, but I can't remember buying them or being excited about them. 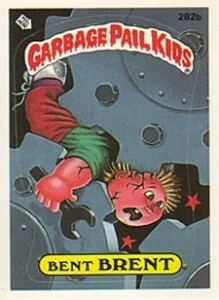 Then 1985 came around, and the release of Garbage Pail Kids. I would spend all of my money on those cards. I remember having dozens of complete sets, trading extras and having stickers over everything I owned, especially my school folders and notebooks. My mother did not like them at all, although I would continue purchasing and collecting GPKs through 1988, just not at such a high volume. At that point, I decided to look into baseball cards as my friends were also buying and trading these during recess. I was hooked. I had some cards from 1985 Topps, a bit more of 1986, and piles of 1987's wood-bordered cards. In 1988, I could not get enough of the Oakland Athletics. They became my first favorite team, which may seem a bit strange since I was born and raised in Fort Smith, Arkansas. But with players like Mark McGwire and Jose Canseco, the A's were gaining in popularity. I recall going to Walmart every day or two and seeing pallets of 1988 Topps, Fleer, Donruss and the all-new Score. I collected them all. In fact, at 25 to 33 cents a pack, I would buy them by the box. That year also led me to my first card shop experience. What an amazing thing that was. Every Saturday for six years it would mean a trip to the mall. In 1989, I went to my first card show where my father bought me a 1986 Donruss Jose Canseco Rated Rookie for $130 (wow!) and a box of the new 1989 Upper Deck Baseball that yielded two card Ken Griffey Jr. rookie cards. In the years that followed, my collecting involved countless trips to card shop and Walmarts. In late 1995, eBay began and I sold one card as a test. I did not do much with eBay in 1996 or 1997 as I was graduating high school and was too busy for too many cards. To get extra money for college, in 1998, I began selling my personal collection on eBay and at a local card auction. In 1999, I started buying boxes from my local shop and used eBay to sell the cards I did not want. These included boxes of the new 1999 Ultra WNBA cards produced by Fleer. My case breaking 'hobby' began in 2000. I bought four cases of 2000 Fleer Ultra WNBA and four cases of Fleer Dominion WNBA. Combined, I doubled my money on the cases, even after fees. The Dominion case did have a smaller return than the Ultra. I was shocked. I was hitting some nice autographs, jerseys, and tough pulls, such as the Gold and serial-numbered Platinums. I did pull a 1/1 card, but I specifically remember a Rebecca Lobo Platinum Medallion #/50 that sold for $400. 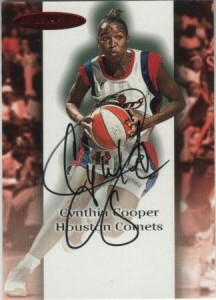 WNBA cards were hot. In 2001 I bought even more Fleer Ultra WNBA, purchasing ten cases. I more than doubled my money again. I also opened two cases of Topps XFL Football, six cases of 2001 Topps American Pie and ten cases of Upper Deck Golf, while missing the chance to bust cases of the inaugural Topps Heritage Baseball. I lost money on the last three products. XFL tanked, American Pie was not a great return, and Upper Deck Golf went way south thanks to being massively over-produced and only one hit per case. For the year I was only down slightly so I was not too discouraged. Plus, I really was doing this for fun and maybe a little extra cash. It was a way to keep collecting while finding a way to pay for what I wanted to keep. In late 2002 or early 2003, I made my first purchase with Chris from Blowout Cards. They were selling Upper Deck Golf cases for $100 per case or less if you bought ten at a time. I bought 50 cases at $85 each. I should have held it but I ripped it all and sold it very slowly by player lots and singles and made decent money. From 2003 until 2008 I bought cases from Blowout Cards all year round. I was buying every sport, including hockey and tennis, plus non-sport cases like Poker and Indiana Jones. To give you an idea of my case busting experience and ups and downs that helped me get where I am today, I would buy one to 15 cases of almost every product from all sports including but not limited to base Topps, SP Authentic, Triple Threads, Diamond Kings, Finest, Topps Cracker Jack, Sage Hit, Timeless Treasures, Topps Chrome, Topps Heritage, Bowman, UD Exquisite, Classics, Bowman Heritage, Score, Be-A-Player, Sportskings, Absolute, In The Game, Zenith, UD Reflections, Ace Tennis, SP Legendary Cuts, Leaf Limited, Ultra, Nascar Eclipse, Topps Co-Singers, Prestige, Nascar Press Pass Legends, Topps 1952 Style, Sage Autographed Football, UD Hardcourt, Threads, SPx, Topps Sterling, Turkey Red, Bowman Chrome, TriStar Prospects, National Treasures, WWE Chrome, UD Premier, Elite Extra, Americana, Topps Milestones, Bowman Draft, and much more. Some years I would lose money on cards and I quickly learned various reasons why. I will help answer that later in a case breaking tips article. The years I would make money I would not make much, although I did clear $14,000 one year. 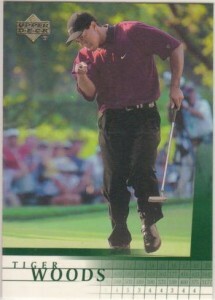 In 2009, I began purchasing from Atlanta Sports Cards and set out to re-shape my business model and plan. I also began limiting myself on what products I was busting. It helped that there were fewer companies. Up to this point, I had only busted more than 15 cases of a product on Topps Heritage (usually 25-35 each year since 2003), Bowman Draft Picks and Prospects (60 cases in 2007), and the 2001 Upper Deck Golf 50-case purchase. I decided to increase profits and ward off boredom by being more selective on the products I busted and increased my quantities to 15 to 60 cases for everything I opened. I always studied my results and the market. This helped me figure out how many cases I should buy of the profitable products to fill orders, complete the rarest sets, and maximize per-case return averages. I also needed to make sure I didn't have leftover inventory that would, most likely, see big decreases on the secondary market after a short period. This leads up to today, where the past three years have been my most successful. Every year, revenue and profits have grown. I continue to adjust and find what products I should bust and in what quantity. I sell to over 1,000 different customers through email and phone, mostly on sets since I can do pre-sales on those. It is tough to pull out players and teams, usually, since I am breaking so much so fast. At the same time, I'm listing them on eBay if they are not sold already. I began the case breaks because I had a cardboard problem. I do collect and keep many things. I never intended for it to be a business or to make money. For years, I did not. My wife and I have always said that as long as we come close to breaking even, we'd continue. This is a fun hobby and a way to spend time together. It's been a huge blessing to have the extra money over the past four years, but also to add to my collection and help so many fellow collectors add to or begin their collections. I am thankful for the opportunity to share with so many readers and collectors, big and just starting out. I hope I can add a unique perspective. I plan on previewing and reviewing each product I break, plus offering case breaking and box breaking tips, as well as lots of pictures and tons of information. We each have a story of our cardboard problem. It's something we all have in common. Good luck to all in your collecting endeavors! Very entertaining read… Looking forward to future articles! Interesting. Back in the day on the blowout board all this guy talked about was how much money he was making on all his breaks. Now the story has changed some. Dougie, my story is the same. This is just a brief overview with much details left out. I am considering writing a year-by-year breakdown if it interests folks, but lots of old info (yet still could be interesting). Anyhow, as far as me commenting on BO years ago, you are correct. I would open 25-30 products a year, and many I would make $1000s on, even $6,000-$7,000 but then would buy cases of Exquisite or SPA, or whatever and lose it all and more. Most products I did ok on, and if you read the story my early years I would about break even or lose some, but if you go back to the old BO board I was always honest about that and say I lost on this or wouldn’t bust it. The majority I did well, but there were stinkers and I would also comment on those. I know we all like to stir things up ever so often, so it’s cool. I hope you are doing well. Take care. I just hate this…just because I don’t have the money to do the same! Bought a few great lots from them but as a collector, I love to wait for cards I want to drop prices. NOAH SYNDERGAARD 2017 TOPPS HERITAGE RED INK AUTOGRAPH AUTO #33 68 -METS! !